Gift of Tongues: A gift of the Holy Ghost that allows inspired individuals to speak in, understand, or interpret unfamiliar languages. We believe in the gift of tongues. As Missionary Moms – we are all trying to come up with creative ways to send a little love from home to our sons and daughters serving so diligently far away from home. 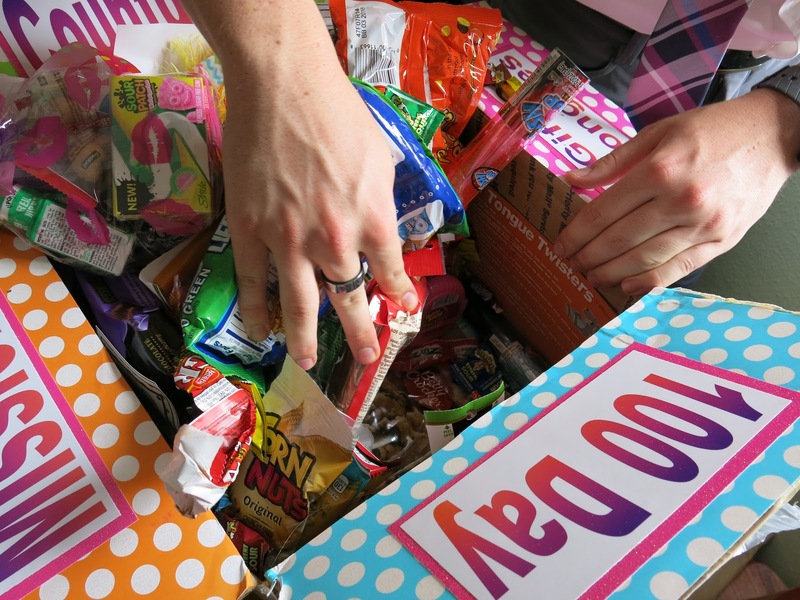 With this box I wanted to send a little ‘Spiritual’ (Gift of Tongues) along with something ‘FUN’ (100 Day Mission Countdown) chuck full of crazy candy and food that would rattle my son’s taste buds as he finished the last 100 days of his mission. I’m sure the Elders in his apartment will all love the yummies too! The End Is Near! It’s always so fun to see the pictures our Missionaries send home of them opening up their crazy boxes decorated in whatever the ‘Theme’ of the box is. Ensign October 1992 talk: ‘Become Acquainted… with Languages, Tongues, and People’ by Elder Jacob de Jager Of the First Quorum of the Seventy. New Era January 2006: ‘Articles of Faith: The Gift of Tagalog’ by Angela Woods Anderson. Chapter 33: ‘The Spiritual Gifts of Healing, Tongues, Prophecy, and Discerning of Spirits’ From Teachings of Presidents of the Church: Joseph Smith, (2011), 379-89. Chapter 34: ‘Strengthening the Saints through Gifts of the Spirit’ From Teachings of Presidents of the Church: Brigham Young, (1997), 251-59. You’ve Got Mail!!! One thing we always included in all of our Missionary Box Mom Boxes was a personalized letter to each Missionary from each Mother. Inside our letters we included our testimonies, the reason we chose that particular item to include in the box, along with uplifting messages filled with love. A lot of the items won’t make much sense as to why you are including them in the box unless you explain how it specifically applies to your Missionary and to Missionary Work. Many times over I have received thank you letters from our Missionaries – but the things they thanked us all for the most was the letters we included. It’s just a little piece of ‘Home’ in a box! So don’t forget to write! Missionaries LOVE food – so you could even send them a Gift Card for a local restaurant or fast food establishment.